Eating too much steak, ground beef and salt pork (bacon) is not good for the heart, says a U.S. scientist. 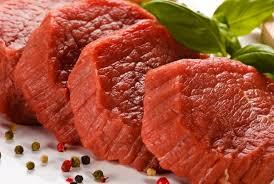 A study in the journal Nature Medicine suggests that carnitine in red meat is converted by bacteria in the gut. It is made ​​up of cholesterol levels and increase the risk of heart disease. Dieticians warn of the risk for people who consume carnitine supplements, as reported by the BBC on Monday. There are many studies that show that eating red meat on a regular basis would be damaging to health. In the UK, the government recommends eating no more than 70 grams of red or processed meat per day. The amount is equivalent to two slices of salt pork (bacon). Saturated fats and in processed meat pengawat substances believed to contribute to heart problems. However, why it happened yet revealed much. "Levels of cholesterol and saturated fat from red meat is not so high, there is something that contributes to increased risk of cardiovascular (heart disease)," said the researcher, Stanley Hazen. Experiments in mice and humans showed bacteria in the gut can take carnitine. The agent then broke into a gas that is converted in the liver into a chemical called TMAO. In that study, TMAO is very closely related to the buildup of fatty deposits in blood vessels that can cause heart disease and death. "TMAO waste product but may significantly affect cholesterol metabolism and leads to a buildup of cholesterol," said Hazen. The findings reinforce the idea of ​​using probiotic youghurt can change the balance of bacteria in the gut. Reducing bacteria that feed carnitine in theory lessen the health risks of red meat. A vegetarian would naturally have fewer bacteria capable of breaking down carnitine than meat eaters. I am very enjoyed for this blog. I feel strongly about it and love learning more on this topic. If possible, as you gain expertise, would you mind updating your blog with more information? It is extremely helpful for me. I know something information, to know you can click here….